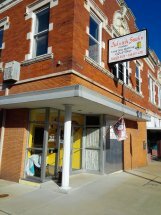 Quilt Shop, Long Arm Quilting Service and Machine service and repair. Welcome to Itch'n to be Stitch'n. Our product and services include the sales of Quilting fabrics from Moda, Buggy Barn, Red Rooster, Anthology, Hoffman, Ink and Arrow, Quilting Treasures, Windham, Benartex, Washington Studios, RJR, Timeless Treasure, Michael Miller, In the Beginning, Kona Cotton, Flannels and Homespuns. We have quilting notions and machine accessories as well as hand embroidery and trims. We are a dealer for Quilters Resource Rulers and threads, Elna, Necchi, and Bernina Sewing Machines. 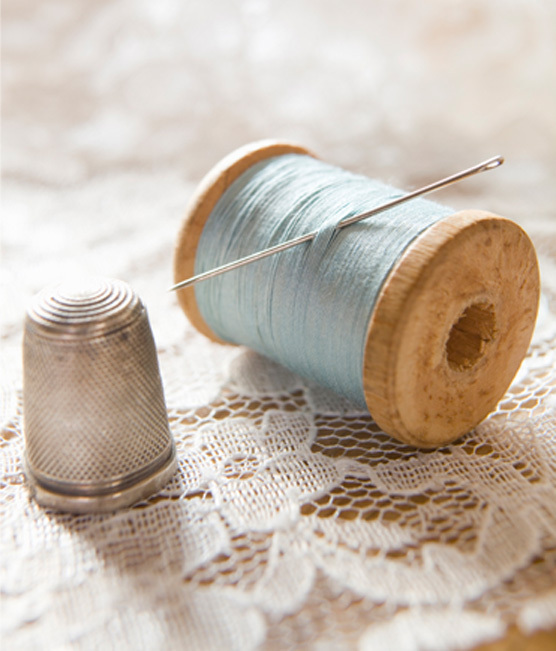 We offer services and repairs on all models of sewing machines. 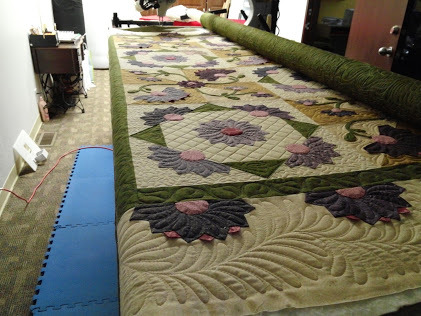 Long arm quilting services of custom or all over designs. Itch'n to be Stitch'n is an affiliated member of the local Chamber of Commerce. 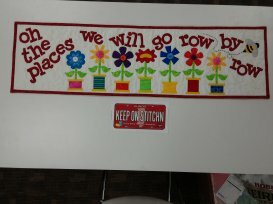 We also have our own Quilt Club that meets every 1st Monday of the Month at 10:00am. If you have any questions or concerns, please give us a call 618 635 2429 or visit our online store. 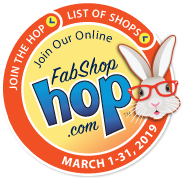 March hint - The Bunny enjoys reading the newsletters! 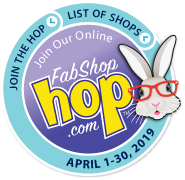 April hint - The Bunny's got a notion!